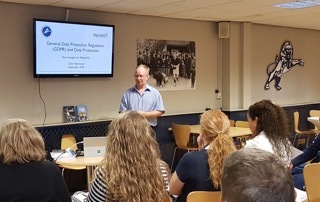 Colin held some GDPR Awareness Training for staff at Millwall Football Club in London recently. Although GDPR is now official it’s still important to make sure everyone is aware of privacy legislation. Just pointing out Colin had nothing to do with the subsequent 3-0 defeat against Ipswich Town and the sacking of Paul Hurst. Merely coincidental!